GetCashForSurveys.com - is one of the leading paid survey companies on the internet, and is a great, real, work at home opportunity. 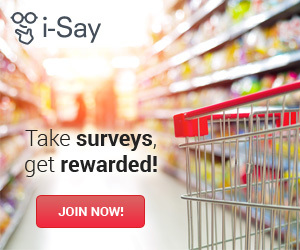 GetCashForSurveys.com offer access to their members directory that includes over 500 companies willing to pay people for completing online market research surveys. GetCashForSurveys.com charge $37 to join their site, and it is available worldwide. Earn 75% of every sale you generate, and will pay out more if you can deliver 2 sales per day or more. Godeals - offers cheap deals daily across multiple categories cookware, homeware, clothing, toys, and much more up to 90% off retail! Very high sales rates. Earn 12% commission on sales and earn 3% based on the income earned from the Affiliates that you have referred. Gov-Auctions.org - is the preeminent membership-based web site for bargain hunters that helps its users find and participate in government auctions of seized and surplus property in the US and Canada. It also provides its members with access to its nationwide database of real estate foreclosure listings across the United States. We offer a FREE TRIAL to our customers followed by a monthly charge. We have a 2-tier pay-per-lead commission structure, which works as follows. Tier 1 Commission: We pay our affiliate partners $2.00 for every LEGITIMATE*** FREE TRIAL activation referred by them (even if the free trial is canceled before any charges are made), even for those that sign-up as late as 90 days after being referred, with many partners achieving stellar conversion rates and high commission revenue. In addition to the pay-per-lead commission, we have introduced a RESIDUAL RECURRING COMMISSION of 30%! This means that we will pay 30% of the $18.95 monthly subscription for every month the referred member stays on with GovernmentAuctions.org! This translates into you getting $5.50 every month for every retained referred member! Affiliates can promote our offer through a number of mediums, including their website, email offers (we provide templates to use), Facebook, Twitter, etc. Just let us know which promotional method you will be using in your application. The Tier-1 commission structure is as follows: The base level is paid at $2.00/lead for every FREE TRIAL activation; All affiliates that achieve 25 FREE TRIAL activations in a month will be paid for all subsequent referrals that month at the second level of $3.00/lead; All affiliates that achieve 100 FREE TRIAL activations in a month will be paid for all subsequent referrals that month at the third level of $4.00/lead; All affiliates that achieve 400 FREE TRIAL activations in a month will be paid for all subsequent referrals that month at the fourth level of $5.00/lead; All affiliates that achieve 1000 FREE TRIAL activations in a month will be paid for all subsequent referrals that month at the fifth and highest level of $6.00/lead. Tier 2 Commission: We also pay our affiliates 15% of the earnings generated by their sub-affiliates. This is where you can sit back, and really let others help you earn commission. GovernmentAuctions.org® - is an extremely popular membership-based website that helps bargain hunters find and participate in government auctions of seized, surplus, repossessed and foreclosed property such as real estate, cars, electronics, jewelry, art work, equipment and just about anything else you can imagine. GovernmentAuctions.org® has consistently been featured in the news, including CNBC, CNN, Barrons, BusinessWeek, and many more. Affiliate Program Details • $2 per lead commission (Free Trial Sign Up) • Up to $18 per lead that signs up for membership • 4.5% Conversion Rate Affiliates receive commission even if the FREE TRIAL is ultimately canceled. As a result, the program enjoys stellar conversion rates and, when combined with extremely high commission revenue, makes for a super-lucrative offering. Current top affiliates proudly hold steady conversion rates at or above 4-5%. Additionally, GovernmentAuctions.org® is fanatical about affiliate support, and the affiliate program manager and marketing staff are dedicated to helping all affiliates achieve optimum profitability. We strive to accommodate all of our affiliates to our fullest capacity, including development of customized creatives upon request and sample emails you can send to your email subscribers. We have also developed a fully functional DataFeed, which is conveniently available for your use. 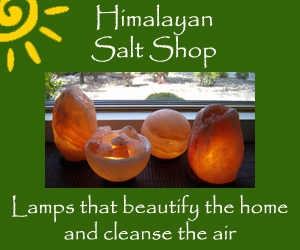 Himalayan Salt Shop - Himalayan Salt Lamps are quickly becoming popular among the natural, organic, and holistic crowds. These natural products, made of pure crystal salt mined from the Himalayan Mountains, are not only beautiful works of art, but they also help purify the air in the home. These lamps are made of natural crystal salt mined from underground salt mines in the foothills of the Himalayan Mountains. The beautiful orange-reddish Himalayan crystal salt is mounted on a wooden base. This crystal salt is hundreds of millions of years old and, as a result, has special properties and high mineral content. Heat from the bulb (in our lamps) or flame (in our candle holders) causes the salt to emit negative ions. These negative ions bond with the pollutants in the air (positive ions) and neutralize them. Also, the newly bonded ions become heavier and fall to the ground removing them from the air circulation. In addition, these negative ions combat electro-smog caused by electronic devices operating in the home. You can earn 20% of every sale you generate for the Himalayan Salt Shop. Homejobstop - supplies jobs that you can do from your own home. Homejobstop offer an extensive Job Bank of work from home jobs, an exclusive online guidebook, email update reports, and more. Looking for work doesn't have to be a full time job. If you've spent any amount of time looking for work online, chances are you've spent most of that time dismissing junk ads and poor offers. That's about to change. At Homejobstop you will not find an exhausted list of companies that may be hiring. You will not find pyramid schemes, chain letters, or other well known schemes. You will not find paid ads disguised as job ads. You will not find job opportunities that offer shopping points or coupons as the only form of compensation. At Homejobstop You will find active, up-to-date jobs working for real companies. Homejobstop Members enjoy unlimited access to our exclusive Job Bank, hundreds of tips and techniques that improve success rates, as well as email update reports and our optional informative newsletter. Employers and recruiters posting with us benefit from an efficient, cost-free way to recruit qualified professionals. This is a structure that ensures quality content and that is what Homejobstop is all about. Earn 50% commission per sale. Hov Pod - The Hov Pod is a personal leisure hovercraft, a unique 3 person vehicle capable of speeds up to 45 mph over any flat surface. Hovercraft Fun! Hov Pod hover craft float on a cushion of air; they hover across sea, lakes, rivers, grassland, marsh, sand, snow and ice! Hov Pods are safe, reliable, durable, easy and great fun to fly, designed to make leisure hovercraft ownership easy. The ultimate big boys toy, yet fun for all the family - enjoy the unique sensation of travelling on a cushion of air. The Hov Pod has been designed to make leisure hovercraft ownership easy, HovPod have popularised hovercraft technology for leisure use. Until now, most small hovercraft has been limited to self-build kits and racing craft; this approach is different, HovPod focus on ease of use, reliability, durability and safety. You don’t need to be a pilot to drive one, the Hov Pod design is so easy that after 10 minutes you will have mastered the basics. Hovpod pay $1000 per sale, have automated software to track commission, also offer opportunities for promoters and dealers, great also for rental income. Inbox Pounds - the online rewards club that pays to read emails, play games, take surveys and more! Earn $1.15 per lead referred. Inspiration Point - is on a mission... to celebrate your unique gifts, empower you to become who you are, inspire you to realize your potential and encourage you to live the life of your dreams. As Inspiration Point offer results-focused support, products, training and services, their desire is to help make a positive impact on your destiny. At Inspiration Point it's their goal to expose as many people as possible to the lifechanging ideas and strategies shared through their transformational products. Inspiration Point have found one of the best ways to do this is to join forces with other like-minded people (like YOU) to spread the news. And they've made it super-easy and (potentially very lucrative) to do! Inspiration Point reward you with a generous percentage of each purchase! You can promote the DreamLife Discovery Personal Seminar (which retails at $195) or the DreamLife Discovery Ultimate Experience (which retails at $297) and collect up to 50% of the purchase price. That's a whopping $97.50 to $148.50 PER SALE. The Partner Profit Payout is based on performance. The more active you are, the more you sell-THE MORE YOU MAKE. The base level of commission is 30% - you will never earn less than that. Once you've referred 50 sales and you maintain at least 10 new sales per month, you will be promoted to a Platinum Partner and begin earning 50% on every sale! Ipsos - is a global market research company that provides a fresh perspective on issues and trends of today. Owned and managed by research professionals, Ipsos conducts more than 70 million interviews a year to serve more than 5,000 clients in more than 100 countries. Founded in 1975, Ipsos is the third largest survey-based research firm in the world with more than 15,000 employees in more than 80 countries worldwide. We provide you with a forum where your opinions are guaranteed to be heard. You then tell us your thoughts on everything from global brands to entertainment and more, and we take your feedback straight to those who have the power to influence change. Express your thoughts and turn them into reality. You could also win 1 of the 30 prepaid shopping cards worth £90 each! Earn $2.25 for each successful referral. JoyBuy - Connecting China with the World's Consumers. Operated by Chinese ecommerce giant JD.com, Joybuy.com offers a wide selection of authentic, high-quality Chinese products at competitive prices and delivers them to customers' doors in a speedy and dependable manner. Adhering to the same core values of authenticity and reliability that define the shopping experience at JD.com, Joybuy.com aims to provide consumers around the world with an innovative and robust ecommerce platform through close cooperation with domestic suppliers in China. Earn up to 10% commission on sales. Just Event Supplies - are an online retailer of all things event! Australian owned and operated we provide your event supplies at the lowest prices delivered direct to your door. Specialising in Wedding supplies we have you covered from your aisle decor to the flower girl basket and then on to a glorious reception with our huge range of reception decorations at the lowest prices. Earn 8% commission on sales. LegalZoom - Enjoy the rewards of the LegalZoom Affiliate Program. Over 94% of our customers recommend LegalZoom to family and friends. Why? At LegalZoom.com, people can take care of common legal matters quickly and easily and at a reasonable price. LegalZoom was founded by attorneys who have worked at some of the most prestigious law firms in the country. We have used our expertise to simplify the law and make it accessible for everyone. When we started practicing law, our friends and family members immediately asked for help with common legal matters like drafting a will, incorporating a business or filing a small claims action. We found that while many people have legal needs, most of them don't want to spend the time, or the money (over $266 per hour), to see an attorney. That's why we created LegalZoom -- to help you quickly and affordably create estate planning documents, start a business, register a trademark and more -- from the convenience of your home or office. To make LegalZoom the best legal document service on the web, we assembled a team of legal experts, including retired judges and law school professors. All of our forms were developed by experienced attorneys, so you can be sure that our documents are dependable. If you have an audience who might need LegalZoom's services, why not join the LegalZoom Affiliate program? Earn 15% on every sale. LittleBird - is a members only, curated daily deals website offering the best family days out, kids activities, products and services all at up to 70% off! LittleBird offers their members daily inspiration, while saving them time and money. Easy and free to sign up to, our members receive a daily email highlighting all current sales. Earn 8% commission on sales. Mercado Deals - is a growing platform where we help people find innovative and useful products at affordable prices. We only use high quality material to ensure that our products will last for many years. We also have a team of experts that tests all the products we sell. In addition, we work with eco-conscious factories to help preserve our environment. We are constantly negotiating the best deals with our suppliers, allowing you to enjoy affordable prices for all of our products. And most of our products can not be found in traditional stores! We know that our customers want to receive your orders as soon as possible. That's why we have an entire team working to ensure that all orders are processed quickly and delivered by the most reliable conveyors. And do not worry, you can track your order in real time and contact us by email at any time if you have any questions! Your satisfaction is our top priority. Regardless of the reason for the return, we guarantee you a 14 day return period within which you can notify us of your intention to return an item and then an additional 14 days to return the product. And we are committed to refund the full amount of your order! Become a Mercado Deals Affiliate and Earn Extra Cash by simply converting our products into profits. Earn a 15% Monthly Recurring Commission. Mindreality.com - The Secret of Absolute Abundance and Wealth: The difference between the rich and the poor is not in how much money they have, but in the way they talk, the way they act and the way they think. The way you think is what you create in your inner world. The way you talk and act is what you express in your outer world. If you want to be fully wealthy, you must be fully congruent in your thoughts, speech and actions. Half congruence results in half wealth. Poor people communicate lack in every way while rich people communicate abundance in every way… Earn 50% commission on sales which is approximately $15 for each sale. MyBidSite - In today's marketplace, on-line auctions are replacing everything from garage sales to department stores. The on-line auction industry has revolutionized the way people buy and sell. The online auction industry is getting rich from final value fees and other fees they charge users listing and selling items. Now YOU can get a piece of the action. MyBidSite.com is like most other online auctions, with one major exception: You share in the fees. That's right. MyBidSite.com shares a portion of its fees with you and with the people you invite to join the site. It doesn't matter whether they're Buyers or Sellers; you get paid on the activities of everyone you refer to the site. This revolutionary revenue sharing program offers virtually unlimited earning potential. To continue expanding our online auction community, and to offer more ways to keep your account balance above zero and earn cash commissions up to 75%, we have introduced the MyBidSite Affiliate Program. One of the strongest marketing points of being a MyBidSite Affiliate is that you are never alone in the business. MyBidSite will always be there to mentor you and to support you. This can take many forms and it is often referred to as "mentoring" and "professional development". OneGreatFamily - Genealogy is the #1 hobby on the Internet and is becoming a passion for millions of people around the world. OneGreatFamily has created a way for individuals to easily store their genealogical information, collaborate with others, and watch their family trees grow over time. Join the OneGreatFamily Affiliate Program today and experience this excitement for yourself! Why You Should Become an Active OneGreatFamily Affiliate? Earn up to 75% commission for each subscription you refer to OneGreatFamily.com. Opentip - Offering over 2 million products to millions of customers worldwide, Opentip.com is your Internet Mega Mall. With categories ranging from computer hardware to software, from electronics to cellular, from books to movies, from music to toys, and tons more, Opentip have got whatever it is you're craving 24/7, all year long. Opentip pride themselves on being able to offer premium quality products at factory price. How do they achieve this? Opentip have proprietory sources of procument worldwide from superstore overstocks, clearance or closeout, supplier production overrun and, most importantly, by using cutting edge supply chain technologies to achieve optimized inventory control. Opentip buy at very large volume and mark up at a very thin margin, so as to achieve enonomy of scale. As a result, most of their products have the lowest price wherever you shop around to compare. Earn 5% commission on sales. Opinion Surveys UK - Evaluate new products and share your opinions, experiences and ideas in meaningful ways by participating in our surveys. It enables you to participate in a fun and interesting surveys just for you and you will also be entered into the cash prize draw for your time! We, and our clients, depend on factual information in order to make decisions about products, services and advertising – decisions that affect consumers like you. Sharing your opinion with us through your participation in a survey does make a difference to the goods and services offered to you as a consumer. You can make a difference! It’s simple! Just follow the steps indicated above to enter your personal survey. It’s free to participate and who knows, the next winner could be you! Payout: $1.35 per survey completed. Origins.net - use interactive search boxes to give your users the excitement of finding their ancestors - in some cases dating back to the 1500's - all without leaving your site! Only when they have found information of value to them will they be directed to Origins.net - resulting in a high level of sales, and therefore commissions - to you! Your users will be able to search for their ancestors and order copies of important historical records, such as birth, death and marriage documents. Earn 15% commission per sale and $1.50 per lead. PatPat - is a shopping deal site/app for moms and families. We connect end-manufacturers to end-consumers directly. Our Categories are for Men, Women, Teens, Babies, Toddlers and Children. We also offer Homewears, and Beauty products. All at the lowest prices and all our products are quality assured. In addition, we have a 15% off on all first time orders too, Code NEWCUS. Need more convincing? We have a category called "flash Sale" every day we will drop our prices on selected items. Seven day no quibble refund. Free US Domestic Shipping on orders over $35.00 For our valued affiliates, nowhere on any discounted shopping site affiliate program will you find higher commissions, few restrictions and more to the point a professional Affiliate Marketing Management Agency, AffiliateProgramAdvice.com team. You get per month. Default commission on sales up to $999.00 = 12% $1000 to $1999.00 =13% 2000 to 2999.00 = 14% and over 3k you get 15% No PPC Restrictions. Incentive sites welcome. Peopleinfo.biz - is a leader in the online people search and background check industry. Earn Commission with our Popular Services. People Search, Criminal Check, Background Check and more. Manage your account easily, maximize revenue with real-time reporting, receive automated payments. There is no cap on our commission structure, so the more you sell, the more you earn. Earn 50% commission on sales.